Director Cloé Bailly shares the shower-room secrets behind Lynx hilarious new ASMR manscaping spots, revealing the fine line between pervy sleaze and humourous kink. 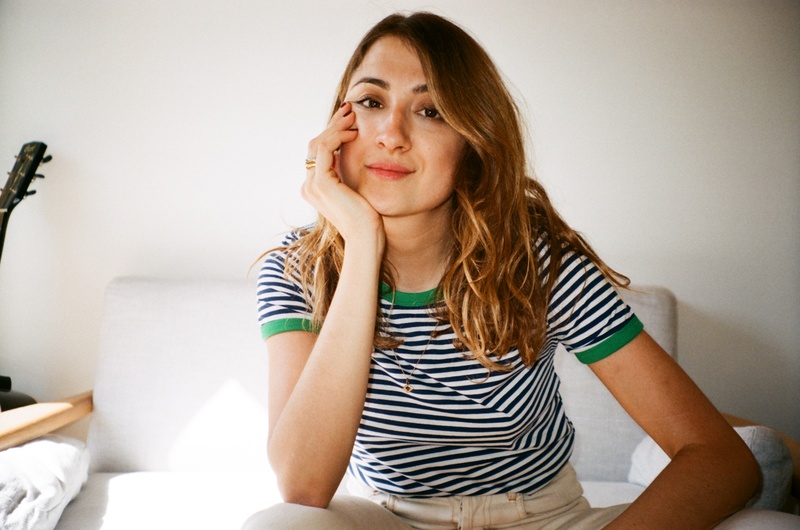 Paris-based director and screenwriter Cloé Bailly is known for her witty, quirky films and has directed for an illustrious array of clients including Vogue, the Cannes Film Festival, Huawei, IKEA, Hermès, Gucci and more. In 2017, she won Gold at Cannes YDA for her Alexa on Alexa: Dating Alexa Chung and was nominated for shots Best New Director. Here she talks about working on the titillating trilogy of spots for Lynx. What was your reaction on receiving the scripts? How much did you know about the world of ASMR prior to that? Why did the job appeal and did you know instantly how you wanted to approach it? I was genuinely thrilled to get those scripts. Firstly because Lynx/Axe pieces are iconic and these were particularly hilarious and well written, but also because getting such a clearly non-female project for a masculine brand was something I’d really wanted for a long time. As a female director, I often feel a little pigeonholed to work on briefs for female products. But comedy is such a broad creative stroke and I was excited to apply my weird sense of humour to a spot about manscaping. I mean, ball shaving? Absolute dreamland for a comedy director. I’d actually watched loads of ASMR videos prior to the job. Not that I’d pretend I was an ASMR aficionado or anything but the concept really fascinated me. Especially Japanese ASMR, it's another level of kink. Casting must have been a lot of fun! Tell us a bit about the casting process and what made you choose this particular actor, Matthew Alexander Kauffman? Gosh. I think I actually peed myself a little during this casting day. I didn't attend the first round because I was shooting abroad, so I watched everything and made my selections. We saw a lot of guys in the call backs, it was a brief that seemed to draw a lot of people. Honestly, all of them were hilarious in their own ways. Some because of their body language, others because of their punchlines – but I was really looking for a true talent in ad libbing. Sound, and capturing the sounds of the product / the shaving process was obviously crucial to the success of the spot - can you shed some light on the sound design process? We had a great sound guy who meticulously captured all the sounds on set. And the mics our character is using in the films were functional, which allowed a complete sound recording. The Balls spot is a particular comic highlight, how did you hit on using coconuts as proxies? I chuckle to myself when thinking back to shooting those scenes. We're so not used seeing a man grooming his body, especially not his balls. We didn't have to do much to be funny, the situation is sufficiently comedic... Trust me, what was even more fun was the email thread prior to the shoot. Surreal. The coconut idea came after we tried using fake balls made in latex which were disturbingly realistic. We went for something less literal. Turns out YouTube manscaping demos often use kiwis, coconuts, tennis balls... We thought coconuts were the most fun and absurd prop to stand-in for balls. How many cans of the product and razors did you get through on the shoot? Barely any at all, Matthew is a true pro and only needs one take. Plus he was completely hairless pretty quickly and, good though he is, he hasn’t quite mastered regrowing a chest piece on command. What was the most challenging aspect of the production process? Definitely timing. We were trying to achieve a lot in one day and we had high ambitions. Sometimes it can get frustrating as you don't have time for extra shots, extra jokes. In comedy you really want time to let go, to try things, to improvise even. But it was a good challenge, I’m very happy with the results so sometimes having to figure out what you think are the best jokes keeps your energy focused. Matthew squatting, head upside down, peering through his legs whispering "Baaaallllllllzzzzzzzz". Pure gold. I have a very basic sense of humour. A few commercials should be coming up pretty soon too. "Selena Schleh and Carol Cooper"